Johns Manville originated in New York, New York, in 1858 when the H.W. Johns Manufacturing Company was founded. H.W. Johns Manufacturing Company used asbestos to manufacture fire resistant roofing. In 1886, another company based in Milwaukee, Wisconsin, the Manville Covering Company, was founded and began manufacturing asbestos heat insulation. In 1901, the two companies merged and formed the H.W. Johns Manville Company. In addition to asbestos roofing and insulation, the company branched out into producing asbestos automotive sheet cylinder packing, asbestos acoustical products and asbestos cement. In 1927, the company went public as the Johns Manville Corporation and later started producing asbestos products for the U.S. war effort. The government mandated that asbestos products be used to insulate Navy vessels in 1945, and Johns Manville produced a number of insulating products with a mixture of asbestos and silica. In 1958, Johns Manville branched out into fiberglass. The company moved its headquarters from New York to Denver, Colorado, in 1972, and two years later became one of the leading U.S. manufacturers of PVC pipe, asbestos cement pipe and fiberglass. However, when thousands of people began developing serious illnesses as a result of asbestos exposure from Johns Manville products and filed lawsuits, the company filed for bankruptcy in 1982. In 1988, the company emerged from bankruptcy and founded the Manville Personal Injury Settlement Trust. Berkshire Hathaway, Inc., acquired Johns Manville in 2001, and today the company produces insulation and construction products. However, its product line is now made with fiber glass and polyurethane. The company has also won awards for its formaldehyde-free insulation. Exposed to Asbestos at Johns Manville? Because of its extensive use of asbestos since Johns Manville was founded, hundreds of thousands of asbestos injury claims and lawsuits have been filed against the company. In fact, as early as 1929 employees filed health claims against the company. One of the lawsuits filed before the Manville Personal Injury Settlement Trust, which was founded in 1988, was Cavett v. Johns-Manville Sales Corporation. James Cavett worked as a boilermaker for 40 years beginning in 1939. He repaired and built boilers in numerous plants. While working as a boilermaker, he worked around boiler and pipe insulation manufactured by Johns-Manville. Cavett testified that the asbestos dust exposure was so bad that it looked like “someone dumped a barrel of flour on you.” He further testified that 80 to 90 percent of the insulation used was supplied by Johns Manville. Experts at the trial testified that Cavett suffered from asbestosis and lung cancer caused by exposure to asbestos. After Cavett passed away from asbestos-related lung cancer, his wife Mary was substituted as the plaintiff. The jury awarded her $800,000 for compensatory damages and $1.5 million for punitive damages. In another court decision, the U.S. Bankruptcy Court for the Southern District of New York issued an order in 2004 for Travelers Insurance to pay $500 million to settle more than 600,000 claims against Johns Manville. Travelers insured Johns Manville from the 1940s through the 1970s while the company manufactured asbestos-containing products. Products manufactured and supplied by Johns-Manville created the large amount of asbestos dust found at the shipyard in Orange, Texas. In 1944, workers from the Asbestos and Magnesia Materials Company, a subcontractor at the Orange shipyard, installed Johns-Manville manufactured asbestos insulation in the Consolidated Steel Shipyard in Orange. Years later when employees of the Orange shipyard developed asbestos-related diseases and filed lawsuits, Johns-Manville maintained it couldn’t be held liable for the medical conditions caused by its products because the Company was unaware that asbestos caused disease. In fact, Johns-Manville claimed that scientific knowledge and the methods of research that were current at the time were not sophisticated enough to discover the harmfulness of asbestos exposure. 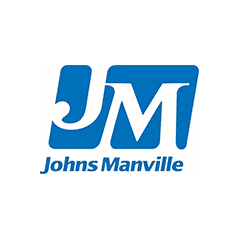 Johns Manville was one of the first companies to manufacture asbestos-containing products. In fact, it was founded for the purpose of creating asbestos products primarily for insulation and construction materials. The company’s own founder, Henry Ward Johns, died of “dust phthisis pneumonitis” — a disease believed to be asbestosis. Because of the sheer number of products manufactured by Johns Manville, a number of different people were put at risk of asbestos exposure. In addition to the products produced by Johns Manville, the company also owned a number of mines and exported raw asbestos to other countries. The famous Jeffrey mine in Canada, one of the largest open pit mines in the world, was owned by Johns Manville. Canada closed the mine in 2011. Johns Manville was the first asbestos-producing company to file bankruptcy and establish a trust to settle all asbestos injury claims. At the time, it was considered a novel use of the bankruptcy law. The Manville Personal Injury Settlement Trust was created in 1988 to settle all asbestos-related claims against Johns Manville. It started with an initial amount of $2.5 billion. Since it was created, hundreds of thousands of victims have been compensated. At the end of 2018, the Manville Personal Injury Settlement Trust held more than $650 million in assets. Since 1990, it has liquidated almost $5 billion in claims.